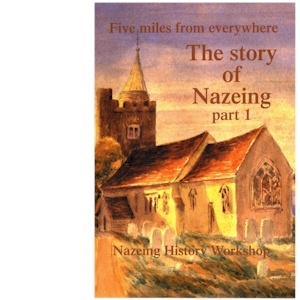 For a village less than twenty miles from London, Nazeing often seems extraordinarily isolated. In 1907 the writer Edward Hardingham noted that "Nazing ... lies high and wide and five miles from everywhere". Hence the title of this book, which covers the history of this corner of Essex from early times up until the outbreak of the First World War. It takes us from trom the Saxons, via the Black Death and the Palmer family, to Totty the pig - which slept in its own bed, in its own room, in a family cottage in Nazeing in the early 1900's (despite numerous council proceedings ordering it occupy a pigsty away from the house).